Inspiration I have this love for fashion and i used to see pictures of people wearing these amazing outfits and i would think from where did they get that.This pushed me to find an automated solution for my problem. 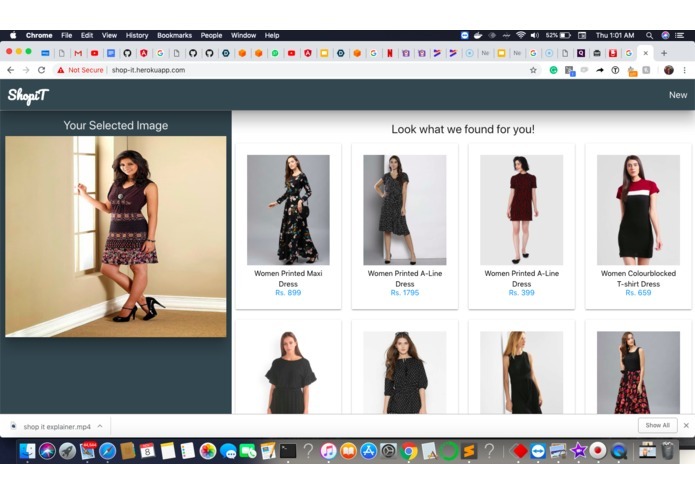 What it does It helps you find clothes/apparel similar to ones you spotted with a help of an image of that particular outfit, also provides you with the link for buying it online. 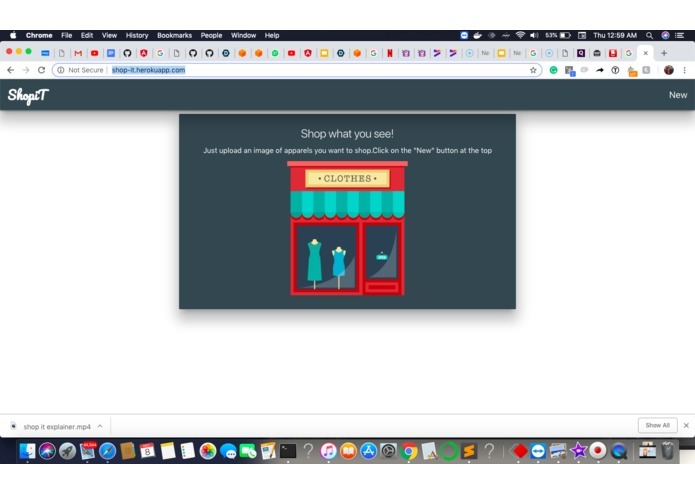 How I built it We achieved this using the Rekognition api which provided us with object tags and also a custom ml model which further identified the clothing types, next according to the tags we scrape an online store for products. Challenges I faced The main challenge we faced was how to go about the detection of clothing types which we solved using a custom model whose accuracy has a lot of scope for improvement. Also scraping the dynamic fashion e-commerce website was a challenge. Accomplishments I am proud of Seeing the product work end to end indeed made the entire team proud even though the ml model needs improvement, we were still able to provide approximately similar products. What I learned We learnt that with the use of AI and the computing power available today we can help improve the efficiency of many redundant and time taking human jobs. Compare prices for the same product across various fashion e-commerce agents. I developed the frontend for this project using angular. I was in-charge of UI/UX Design as well as the Dataset Accumulation for our ML model. I designed the wireframes in adobe photoshop and helped in its implementation in Angular. it was my first time on angular learnt basics of it during this project.